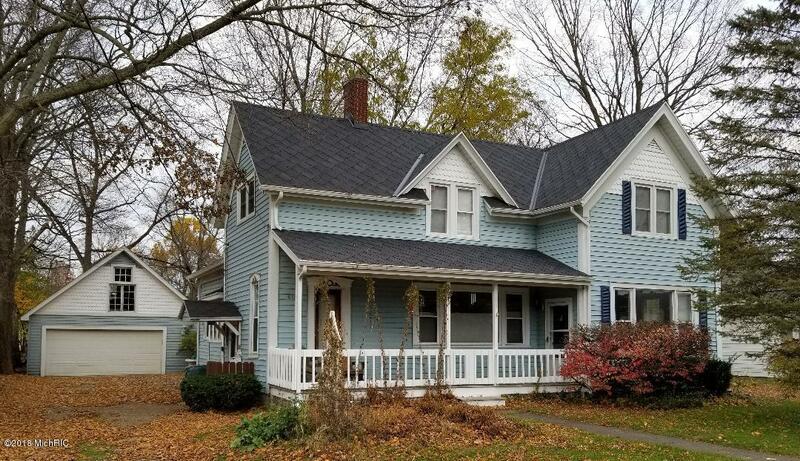 Lovely classic farmhouse-style home in village of Paw Paw; easy access to downtown venues, a variety of restaurants, several public parks, and nearby lakes. This home features three large bedrooms and one full bathroom upstairs, and a nicely appointed main floor with a huge kitchen, a second full bathroom, a formal living room and a family room. The main floor also boast a natural gas fireplace, and several period accents that make this cozy home feel special. The interior of this home needs cosmetic updates and finishes (paint and floor coverings), but is an excellent slate to allow a new buyer to choose their own colors/textures. The home has a wonderful covered porch (front), and two additional entry points (side and back).